“Tsukiji” Market is the largest market in the world dealing with more than 470 kinds of marine products. Its vigorous trading starts early morning every day, and it attracts many tourists to see the activities. 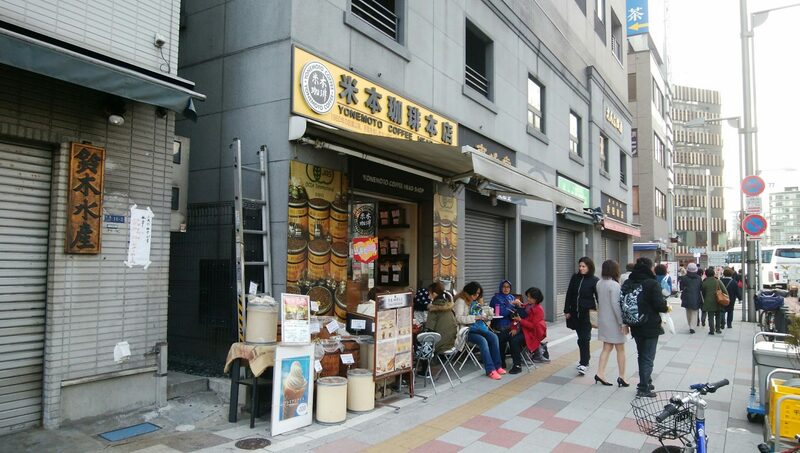 In this issue we introduce cafés “Yonemoto Coffee Shop – Main Shop” located near “Tsukiji” Market. “Yonemoto Coffee Shop – Maine Shop” is very conveniently located in the outer “Tsukiji” Market and a few minutes’ walk from “Tsukiji” Station. The café has a long history of more than 50 years since its foundation in 1960. It has a relaxing ambience with seats at the counter, tables and terrace outside. It is an ideal spot for a petit pause with a cup of coffee, sandwiches and hot dogs while visiting “Tsukiji” Market. 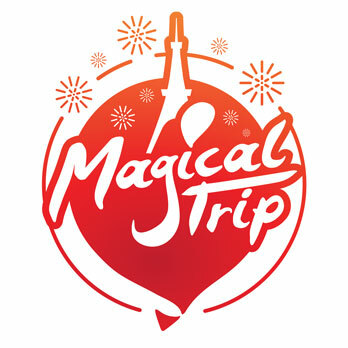 Many foreign tourists visit this café. You must take a note before visiting “Tsukiji” Market. Dark Molasses is often used for Japanese sweets, which is sweet sauce made from black sugar. 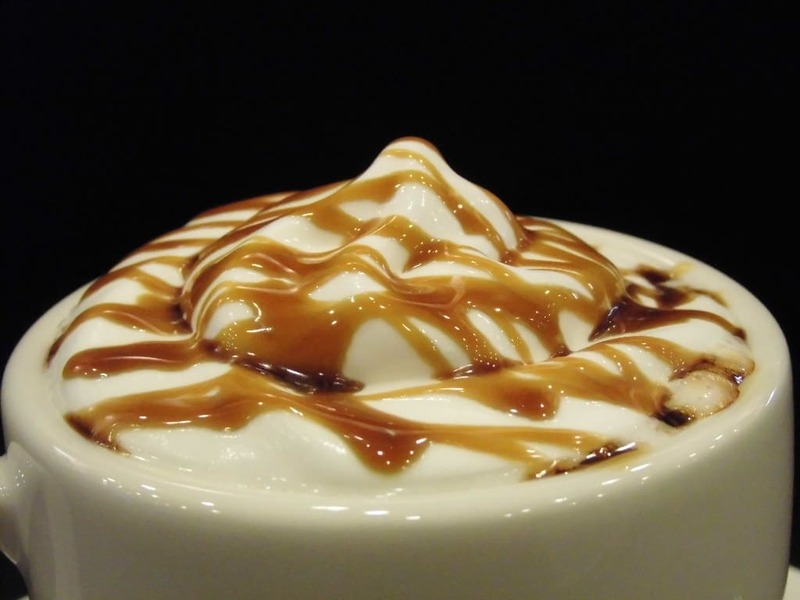 Café macchiato with dark molasses is café latte with fresh cream and dark macchiato on top. The combination of fresh cream and dark molasses makes an impeccable taste and is very Japanese. 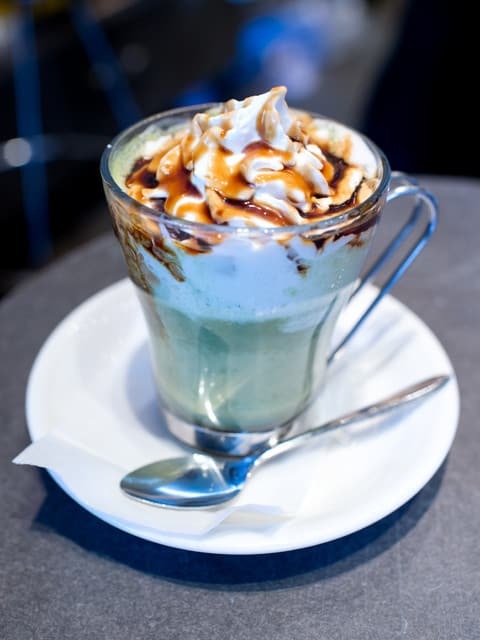 At “Yonemoto Coffee Shop” you can enjoy a drink with green tea, unique in Japanese café. Green tea macchiato with dark molasses, a combination of a little bit bitter green tea and sweet dark molasses is highly recommended. It looks beautiful and is worth a snapshot!